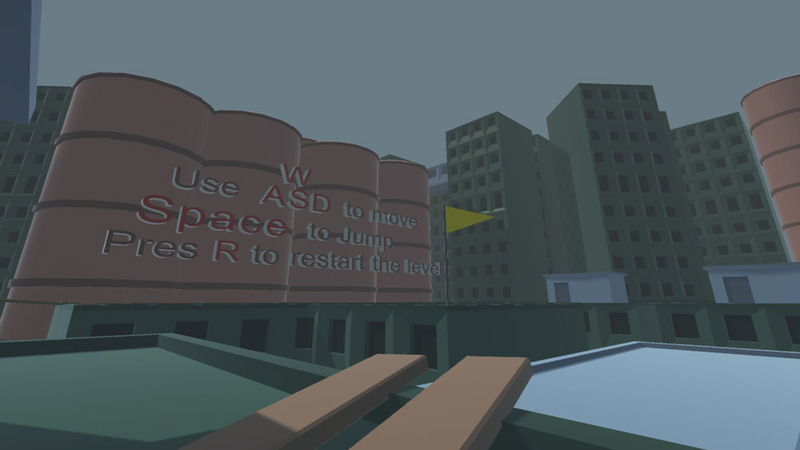 "A free running game at a great height!" Vertigo is a platform game with elements of free running where you must make your way across rooftops using precariously placed wooden beams to traverse the gaps between building and some that you must edge your way across however spend too long on any of these planks of wood and it will soon give way underneath you leading to a long fall and certain death as you hit the ground. 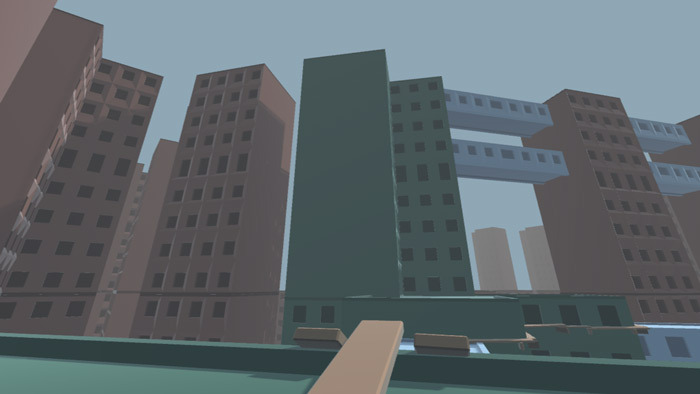 The game looks quite simple and blocky in its graphical style but can be a lot of fun if you can put a decent run together and make some progress however it can be quite hard to get used to the controls which can feel over sensitive at times making those very difficult beams that you must be very careful whilst walking across quite difficult to master. 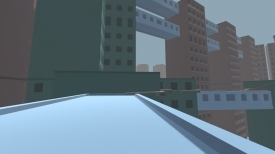 Vertigo is a very cool idea for a game however it feels fairly unpolished and if you’re looking for stunning graphics or a unique experience it probably won’t be found here however with a few tweaks this first person runner has the potential to be a lot of fun. You can download Vertigo here for free.